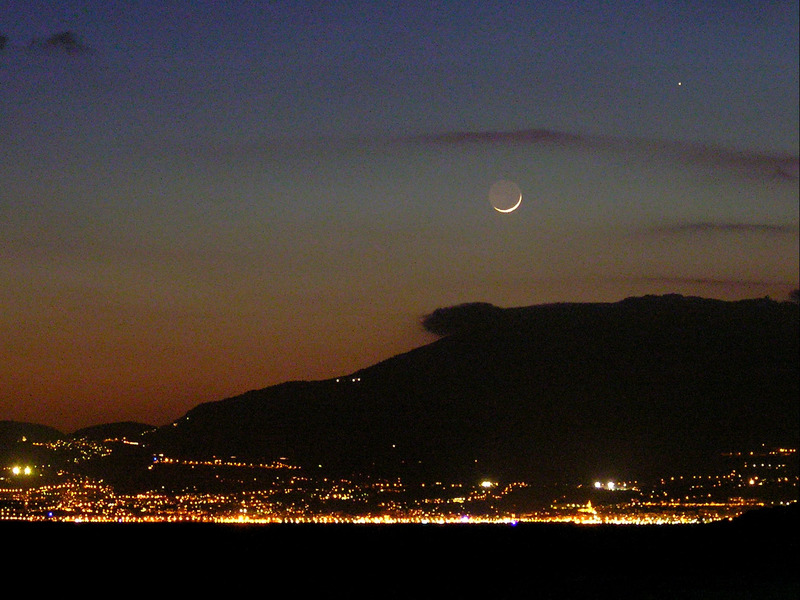 Explanation: Low on the western horizon after sunset, a slender crescent Moon and wandering planet Mercury join the lights of Menton and Monaco along the French Riviera. Astronomer Vincent Jacques took advantage of this gorgeous photo opportunity a week ago on March 11, when the Moon and Mercury were separated in the sky by just three degrees. Of course, the Moon in a slender crescent phase is always seen near the horizon, as is Mercury - a bright planet which can be otherwise difficult to glimpse as it never strays far from the Sun in Earth's sky. In the coming days good views of Mercury will indeed be fleeting as the solar system's innermost planet is rapidly dropping closer to the glare of the setting Sun. But tonight a waxing Moon will join another bright planet wandering overhead through the evening sky, Saturn.